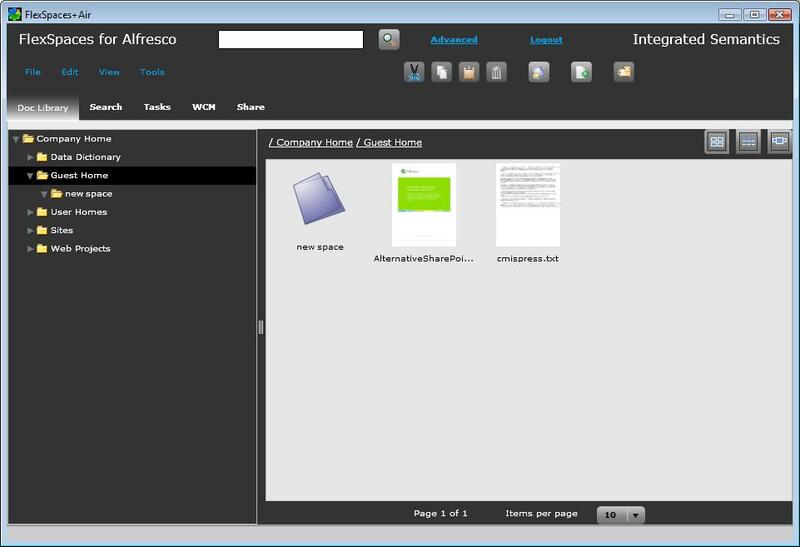 FlexSpaces 0.93 was recent released (Alfresco Forge, Google Code). This now includes a Liferay portlet (runs FlexSpaces inside a portlet), fixes progress bar color in new styling/skinning from 0.92, adds short-term state save for portlet resize / browser refresh (config only enabled in portlet pkg), adds additional parms/flashvars to support config in portlet preferences dialogs, adds parms to enable adding sso. A JBoss Portal portlet will be available later. 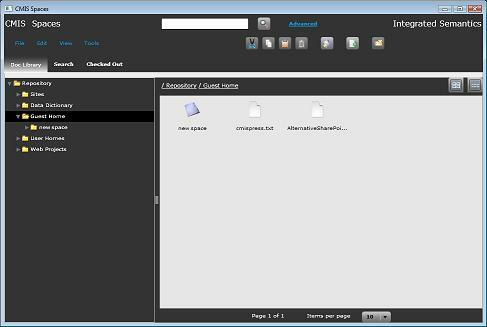 Also will have portlets for CMIS Spaces. The FlexSpaces Liferay portlet configuration UI allows setting what views to show (doclib, search, tasks, wcm) and the Alfresco web script URL. 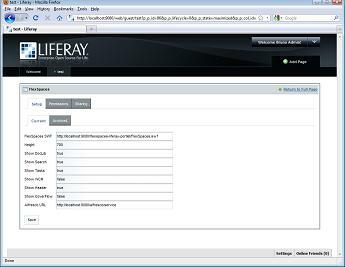 This portlet was developed/tested with Liferay 5.2.3 and Alfresco 3.2 running in separate Tomcats. 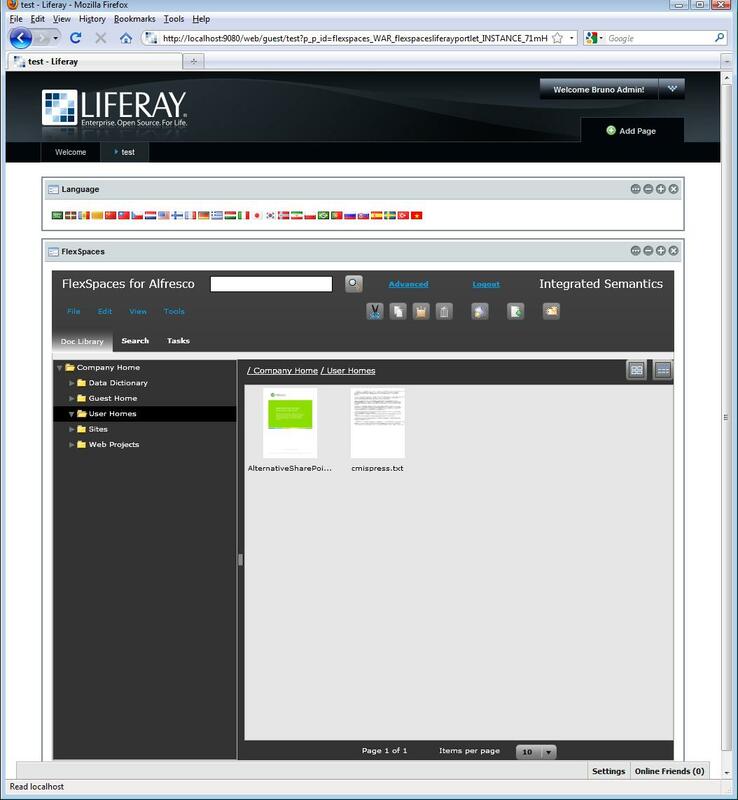 Running Liferay and Alfresco in separate Tomcats is recommended (easier, can switch to new versions independently, and is more scalable). 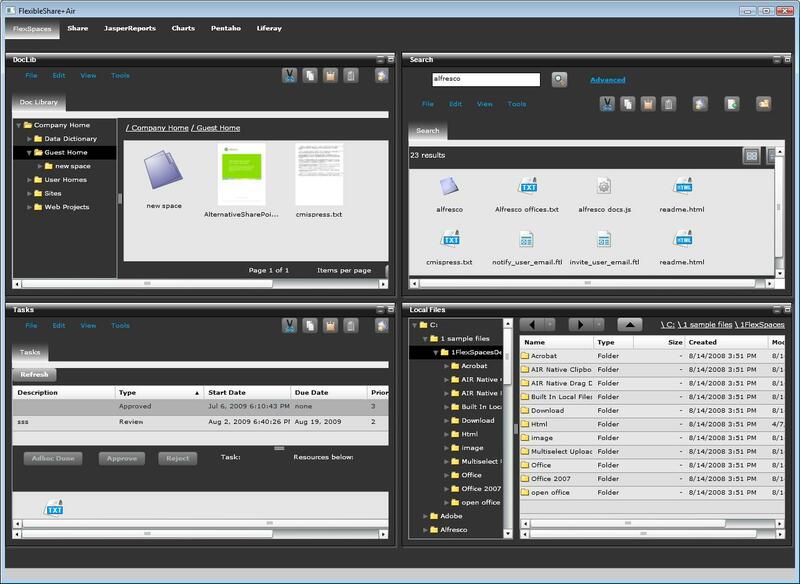 To adapt the FlexSpaces portlet to Liferay 5.1.x, etc. 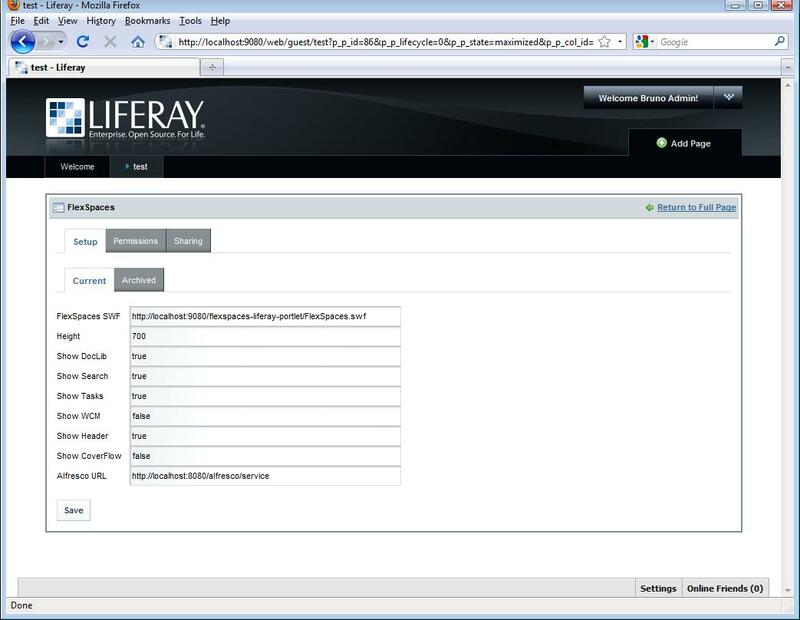 look at the source inside the Liferay Flash portlet war for your version of Liferay and adapt the jsps (different dtds) and maybe the java file of the FlexSpaces portlet. 7. 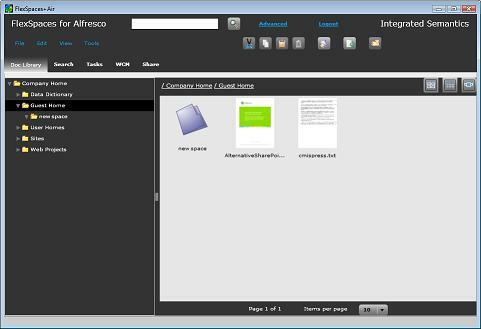 Configure the portlet in its configuration UI to have the views wanted and for your Alfresco web script URL (may need different host,port), and save.